Beautiful beaches, sunny weather, music, cocktails and parties, is sufficient to attract entire world to come here and celebrate Xmas and New Year. 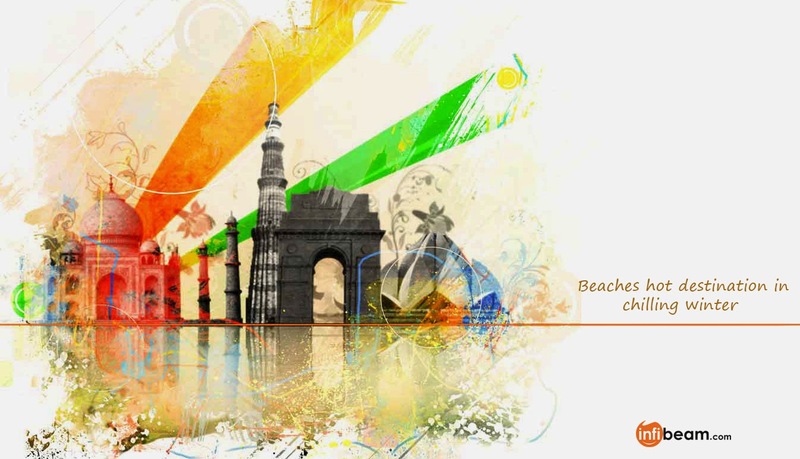 Like every year, beaches is once again the most favorite and hot touring destination in the India in the last fortnight of the year ending on 31st December, 2014. All the agents across country have booked planes, trains, bus tickets for Goa, Kerala and Andaman & Nicobar islands. Meanwhile, many travel freaks have decided to use their own vehicle to reach to their favorite respective destinations. But hotels are almost booked. It is now very difficult to get a room at a budget hotel in Goa. Who says there is recession or slowdown? Starting from travel agents, hotels, guides, flights, railways, DJs, sound system providers and others connected to tourism are very busy entire week. Forget discounts, at some places the prices are beyond tariff as the demand is exceeding the supply. For lucky ones rooms are still available but tariff are skyrocketing. However, travel enthusiasts does not care for high tariff. They just prepare and take the first step towards their touring destination. As per travel agents, the second most popular touring destination for next ten days, is Kerala. Here the backwaters, beaches, spa and several things attract the tourists. Visiting Kerala may be expensive but still it is one of the favorite destinations for tourist for New Year. Further more expensive touring destination, Andaman & Nicobar Islands is too hot touring destination during this period. The hotel rooms at one of the most beautiful islands and beaches, Havelock Islands are believed to be full for the entire week ending on first Sunday of January 2014. There are also travel freaks who have decided to go for some adventurous place by choosing Himachal Pradesh or Sikkim or any chilling place which has snow and much below zero degree celsius. Among them, Shimla is most popular, followed by Dharmsala, Dalhousie, Sikkim and others. Flights to all the freezing touring destinations are full. Even the room tariffs have gone up and occupancy is almost full. For international trips, Thailand remains on top. As being one of the most economical, Thailand, Dubai, Singapore, Indonesia and surrounding areas are the most favorite touring places during New Year Vacation. This year apart from Goa and Kerala, people want to feel below zero degree temperature, said Priyanka Menon from Kesari Travels. “Shimla, Kullu, Manali, Dharamsala and other places from Himachal Pradesh have got one of the largest inquiries this year in winter. People are also according spending good money during their vacation,” she said. To take a feel of seeing the moon like land, people also prefer Kutch to participate in the Rann Utsav. However, people prefer staying in hotels which are economical compared to the tents. In India people mostly visit three place Goa, Kerala and Mumbai for New Year parties, believe Laxmikant Bhatt of Lipi Tours and Travels. “People visit Goa for Feast of St Francis Xavier and Sunburn,” he said. During December Kerala has awesome weather with drizzling at times, he said. “Tourist visits Kerala specially to celebrate boat race where the most exciting and colourful water sport festivals held. Even the boat houses are very popular,” said Bhatt. Interestingly, Mumbai is most crowded during this time as it is famous for beach parties in its surrounding areas and also for its most affordable shopping. Many have also decided to go to Mumbai and attend Bollywood parties. Wish you all Merry Xmas & New Year from Infibeam family. This is the official Infibeam blog. Here you will find news, updates and behind-the-scenes story of the company. Who can buy what on GOSF!